On our recent trip to Jordan, we explored a crusade castle, Petra, the Dead Sea, and numerous Roman ruins. Centuries blurred and melted as we traversed some of the same paths as dusty camel caravans that have criss-crossed this ancient, arid land. The ancient and the modern interweave in Jordan; in one moment you feel like you could be walking in a scene from a thousand years ago. And then you spot a Bedouin shepherd with a cell phone to his ear. 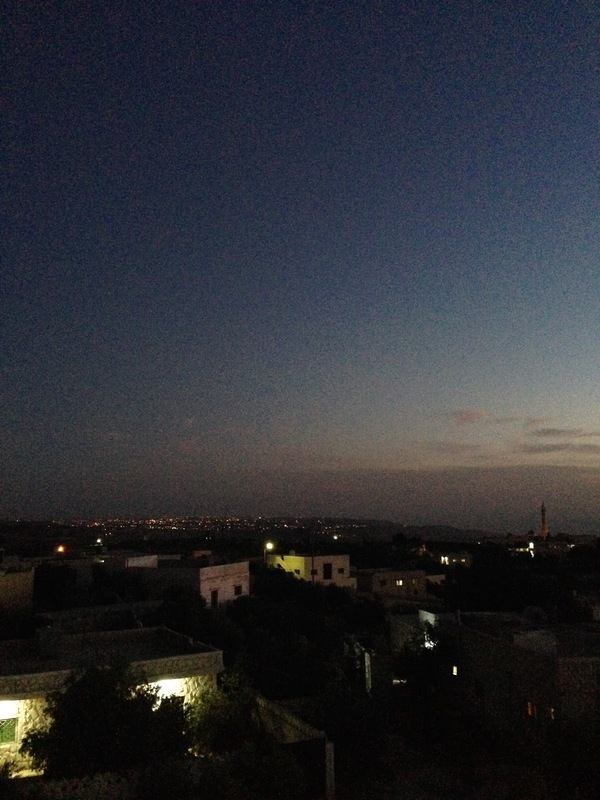 Yet as I left Jordan, I realized again for the thousandth time the power of people--who were strangers to me only a few hours or moments before I met them. Visiting tourist spots opens your eyes; meeting new friends opens your heart. In a place so far from the familiar and known traditions of my life, I have found remarkable warmth, kindness, and hospitality. As we talked and conversed with people in Jordan, with more friendship than curiosity, the resounding universal principles of life, like compassion, love, and forgiveness became transparently real. Once again we understood that families that may look different than our own are really so very similar. We all really are so much the same. As Meryl Streep says, "It's finding what is apparently different, then finding myself in there." In the next few weeks most of us expats are making an exit for the summer season from the climbing temperatures in the Middle East--to go home to our other homes. Hopefully, I have learned a few things this year in Qatar. 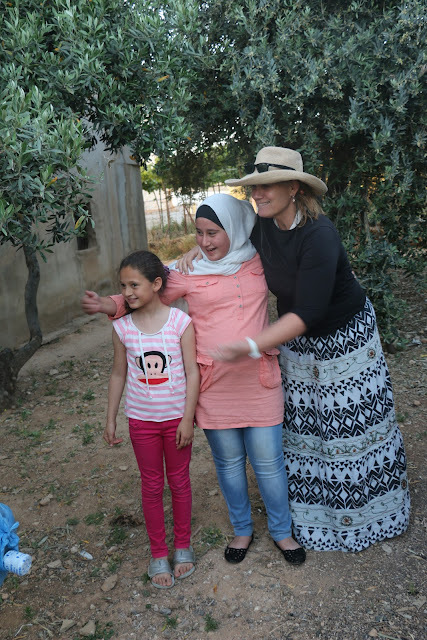 If I could choose one lesson, I would hope I have absorbed what my Jordanian neighbor asked me to do when she met me last fall. She said to me, "Don't make boundaries with me. I can learn you to drive. I can help you in any way I can." Yes, Abier, you have opened a new world to me. I have willingly, resolutely pushed away the boundaries that confine and restrict the ability to "open my sky." I will miss the prayer calls that stream from the minarets five times a day, the steamy heat that surrounds you, almost enveloping you, but mostly I will miss the people. Yes, the sights I have seen this year are grand, beautiful, even breathtaking. But it is the people who have tread across my heart--hopefully a heart with a lot less boundaries than when I came. 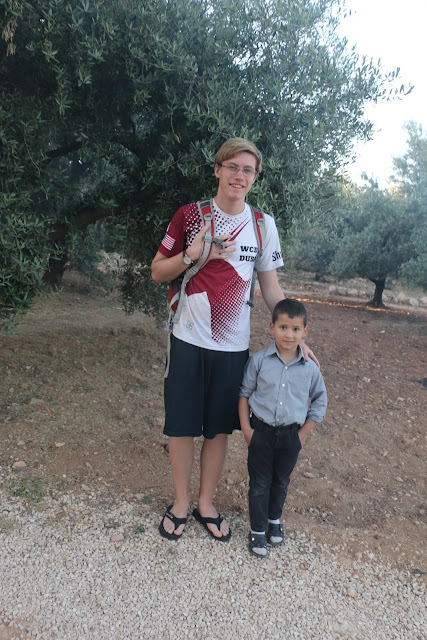 One of the best parts of going to Jordan was going to Famtuk's home in Amman. Famtuk has four children, and takes care of his ailing mother who has Alzheimers. He comes home every night after his long hours of working to feed his aged mother. His children each take their turn too. When we meandered around the roads up to his neighborhood, we had several visitors come to visit us. The older gentleman wanted to welcome us to Jordan, and tell us all about his family, and hear about our own. Peter with Famtuk's six year old son in their olive grove that surrounds their home. Everyone in Jordan has olive trees to make their own olive oil. On the rooftop of Famtuk's house. You could look out and see the Dead Sea from the their roof. To be loved so readily, so immediately, is such a gift that has been given to me again and again this year in the Middle East. I have felt at home because as my Jordanian neighbor in Qatar tells me, "You know we really are on the same page. We are so much the same." When I realized that a woman who wears a burqa could be one of my best friends, my life has changed. The principles, experiences, and life stories that we have are startlingly similar. Our Australian friend learning how to wear a men's headdress or keffiyeh, I love to view others learning about other cultures, erasing misconceptions, and prior judgments. One of the best moments of the trip was dancing in the Roman amphitheater in Jerash. My son, Peter, heard some bagpipes playing in the ancient theatre, and we went over to hear the musicians playing. To hear them play "Amazing Grace", and then break into Arabic dancing music was hauntingly beautiful. The boy with the blue shirt danced with me for about thirty minutes--a regular Fred Astaire. I will never forget the happy, breathless smiles as we danced together--merging cultures and hearts. My little 12 year old dance parter kissed my cheek at the end. It did not matter if we did not speak the same language; the dancing and music was enough to unite an unpredictable group of people in a bond that lasted almost an hour. Have enjoyed every step of your journey !! Sad to see it ending, hopefully there will be more !! Thanks for sharing Cuz ! !